This trolley runs on A/C or DC and is fun to watch. 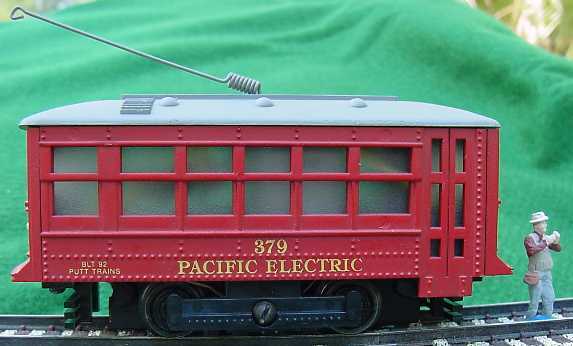 This Birney Car is a four wheel S gauge car in plastic with a metal chassis. It runs in only one direction. The trolley pole is non-operational. Comes with a headlight in hirail versions only. 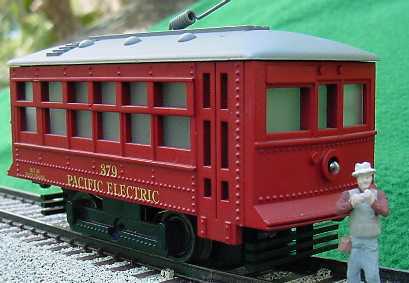 I bought mine at a train show from Mark Preman over at AmericanFlyerTrains.com.